The 2018-2019 season is now complete. Welcome to the CCA Figure Skating Club! Making Skating Fun Since 1987! The CCA Figure Skating Club has been teaching recreational skating lessons for over 30 years! We are a non-competitive club focused on fun skill development at every level. We offer learn to skate, hockey buddies, power skating, and figure skating programs in the Flames Community Arenas in southwest Calgary. Our programs provide skaters with high-quality instruction beginning at basic skating skills all the way to advanced figure skating techniques. We have skilled, professional coaches with many years of training. Our club is a non-profit organization run by parent volunteers who provide their knowledge and free time to ensure our club is the best it can be. Disclaimer: in this video, we mention that Learn to Skate programs are for 2-5 year olds. These programs will actually only accept skaters that are at least 3 years old. Sorry for the confusion. You'll notice our junior coaches in their bright blue jackets. 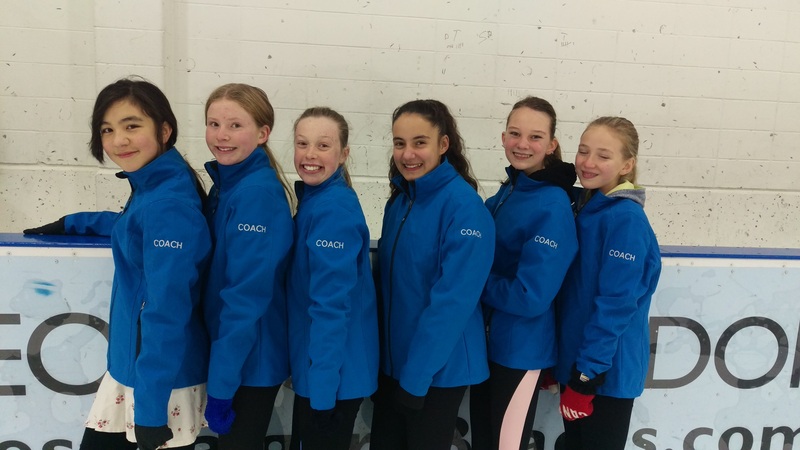 Junior coaches act as role models for younger skaters and are responsible for reinforcing learned skills, leading circuits and group activities, and playing fun games! Jackets, hoodies, touques, sweats, and more! Display your pride in fantastic apparel customized entirely by you! Start shopping now!